The massage therapists at Harmony are individually sought-out experts in bodywork, fully trained, certified, and licensed through the State of California (CAMTC). Like all of us at Harmony, our massage therapists have a passion for pregnancy, birth, and postpartum care of moms and families, going way beyond the minimum requirements for a “safe” massage during this very special time in your life. They are each additionally certified in the specialty of prenatal and postpartum therapeutic massage, and have each dedicated a minimum of 2 years (in most cases many more!) towards this dedicated specialty. Jessica cultivates trust in her relationships with her clients though intentional, compassionate care. She specializes in Traditional Chinese Medicine (TCM) massage, using highly adaptable techniques tailored to the client’s specific needs. Her presence is calming and she creates the space for the re-connection of mind to body, allowing for very deep relaxation to occur. Jessica is a California state licensed massage therapist and graduated from Five Branches University in San Jose. Specializing in pain management, Jessica uses acupressure hand therapy and Tui Na. Kristyn Powell is an active mother of 2, nationally licensed massage therapist (NCBTMB), and an avid yoga and meditation practitioner. She is experienced and certified in pre and peri-natal massage, and has been providing a variety of massage for private clients, teammates, physical therapy clients, and mothers for over 10 years. Kristyn’s voyage into mind and body oneness started during college, where she rowed varsity womens crew for 4 years at California State University, Long Beach. After years of working on her teammates’ aching muscles, Kristyn committed herself to professional massage and began a life long pursuit to help others find their own unique, personal balance. In each massage, Kristyn strives to incorporate whole body consciousness, carefully guiding her clients to a place of healthy wellbeing. Kristyn’s professional massage career began in San Diego, where she studied at Mueller College of Holistic Studies. Through word of mouth, she built a private clientele of professionals, athletes, and moms. After the birth of her first child, she became instantly interested in pre and peri-natal massage, and the idea of building personal mind and body strength for a richer birthing experience. After becoming certified in prenatal massage, Kristyn moved to the Bay area and shortly thereafter had her first fully natural child birth — thus, putting into practice everything she’d studied for so many years. She has added to her expertise in supporting birthing parents through the Birthing From Within Teacher Training. Kristyn believes in helping others better understand how their body and mind work together and enjoys being their guide, through massage, breathing, and full harmony with one’s self. She was introduced to yoga in 1990 while on an Ayurvedic meditation retreat and has been passionate about it ever since. Her yoga studies begin in L.A. with world-renowned teachers Shiva Rea, Ana Forrest, and Bryan Kest. She has been a TM meditator since that first retreat almost three decades ago. 1998, she graduated from Body Therapy Center in Palo Alto, adding Jin Shin Do and Reiki Levels I and II to her skill set. She worked as a Massage Therapist at Watercourse Way all the way through her eighth month of pregnancy. While pregnant in 2001, Nanci attended a Whole Birth yoga class and found her true calling. When five months pregnant, she became certified in Whole Birth Yoga specializing in prenatal and postnatal yoga with Robin Sale. Continuing her yoga studies with Joyce Anue in 2003-2004, Nanci completed the Y.E.S. Alliance. In 2009, she was certified in Therapeutic Yoga with Cheri Clampett and Arturo Peal. Nanci completed an Anusara Immersion with Samantha Shakti Brown and Kenny Graham in 2012, and another teacher training in March 2013. She earned her advanced 300 Hours with Samantha and Kenny, along with Siri Peterson, Alice Kennedy, Ashleigh Sargeant, and Kelly Blazer, who formed the Balanced Action Yoga (BAY) School. In February 2015, Nanci accomplished her goal of an E-RYT 500-Hour certification, which is the highest yoga certification available with over 10,000 hours of teaching experience to her credit. She is a long-time member of BABI (Bay Area Birth Information). An important part of her life is being a student of Ayurveda (a Vedic way of living in accordance with nature, your personal constitution, and the seasons). She is currently expanding this education learning Marma (a Vedic way of moving energy through bodywork) with Vaidya Priyanka. 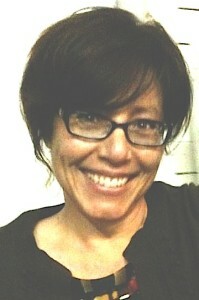 Nanci leads weekly yoga classes in San Jose in prenatal and postnatal yoga, gentle yoga, restorative yoga, and Hatha. Here at Harmony she facilitates the monthly Friday Night Prenatal Couples’ Yoga Date Night, as well as her popular quarterly Prenatal Couples Yoga & Massage Workshop. She also leads restorative and other workshops at Almaden Yoga and at the Aum Aradhana Retreat Center. She loves teaching students of all ages and stages of life. Visit www.aatmayogawithnanci.com for a complete list of her classes and workshops. I have taken prenatal Yoga classes at Harmony and now with my 3 yr old child I did Little Bits Play Yoga class and I have always been extremely happy with the classes I have taken here. As a busy Mom, I have got a chance to relax and stretch while my child is still with me. I highly recommend Harmony Birth to every Mom who is seeking Yoga for themselves or for their children. Miss Linda is wonderful with little kids and is a beautiful person. I will go back again with my toddler for more yoga classes.